What can happen when UVA alumni in the business world and government come together with faculty and students to support a nascent business in an impoverished part of Indonesia? Jobs for women, improved health, education and joy. The crowd at the Take it Away deli on the Corner was typically busy during a recent lunch hour, with dozens of University of Virginia students ordering, picking out their drinks and grabbing bags of chips to go with their sandwiches. In addition to the baskets of barbeque and sour-cream-and onion-flavored snacks, customers have a healthy new option to add some crunch to their lunch: cashews. Harvested from cashew trees more than 10,000 miles away in Bali, the nuts come in mouth-watering flavors like sesame ginger, sea salt and garlic pepper. Garlic pepper is Juliet Wiebe-King’s favorite seasoning. Or at least it was. Wiebe-King, who earned her M.S. 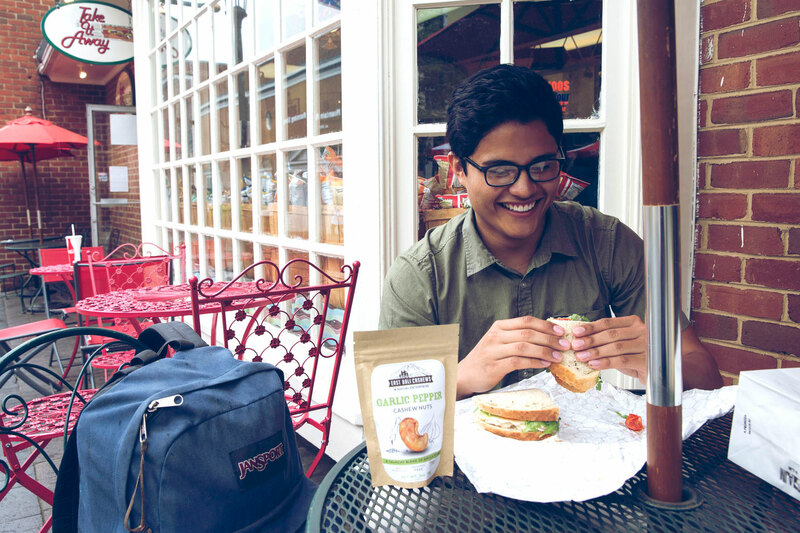 in commerce, marketing and management from UVA’s McIntire School of Commerce in 2015, headed to Bali for a five-month internship with East Bali Cashews last July. 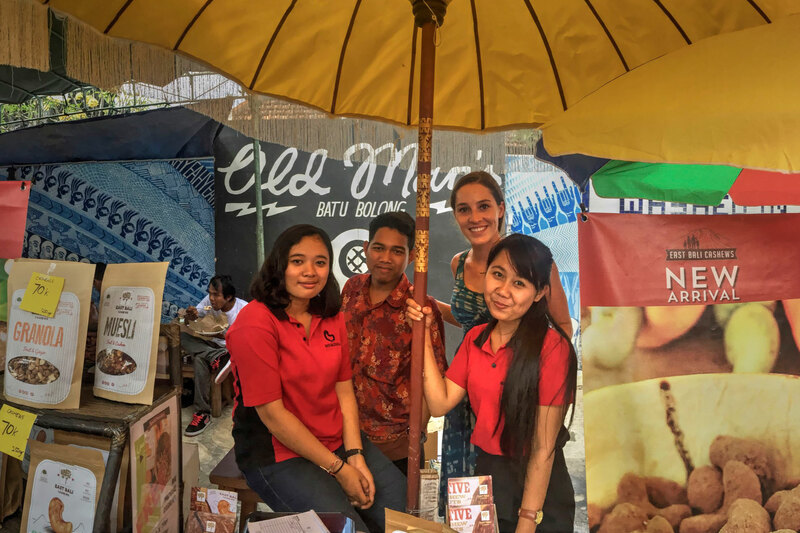 Forgoing a dream job at a prestigious firm, she now works at Red River Foods in Richmond and is leading U.S. sales and marketing for East Bali Cashews because she loves the company and the sense of family and teamwork she experienced in Indonesia. Wiebe-King is the reason the nuts are for sale at Take It Away. “I approached them about a month ago and they were excited to start selling them,” she said. The cashews are also for sale on Amazon.com and will soon be in all Fresh Markets and various Home Goods stores across the United States. What’s the big deal with these cashews? In a nutshell, their production has increased the earning power of their workers by two to three times the national average of $2 a day, and the enterprise employs 350 people, mostly women who have never held jobs before. That’s not the way it used to be. 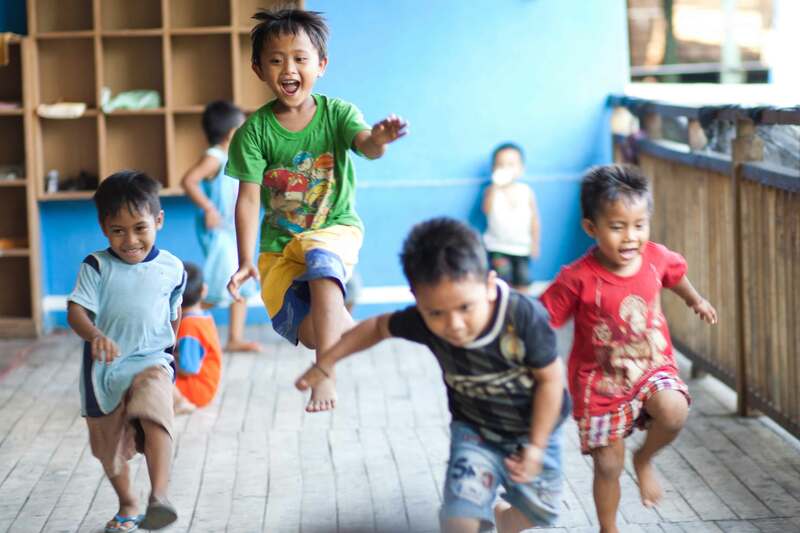 When Aaron Fishman moved to east Bali to volunteer for a nongovernmental organization, he was taken aback by the staggering poverty. 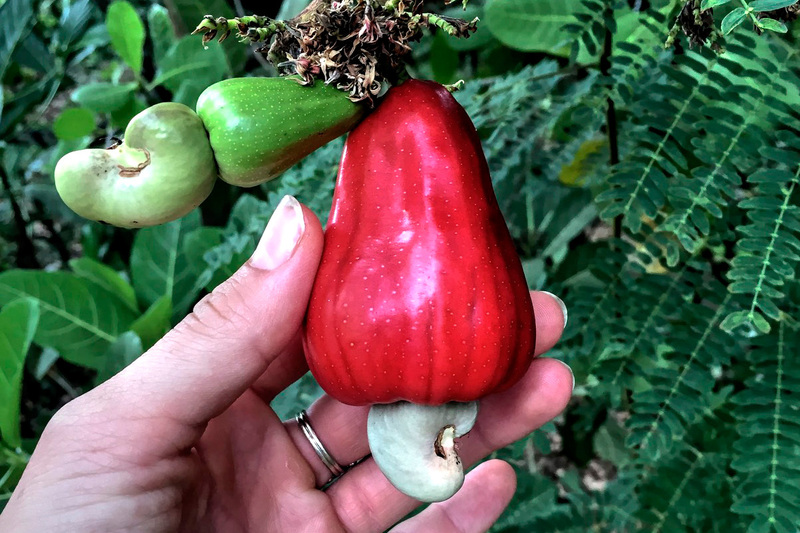 The community, which has perfect growing conditions for cashews, was exporting its product to places like Vietnam and India for processing and losing out on a lot of potential income. Fishman wanted to change that. Using family loans and credit cards, along with some friends and their network, he managed to raise enough money to launch East Bali Cashews, which buys the cashews directly from the farmers, picks and peels the nut from the shell, and then flavors and packages them on site. The business was making money, but there was not enough capital to expand. The revenue-raising model wasn’t holding up and Fishman needed capital to expand, so he went looking for help. He found assistance in another UVA alum, Steve Okun. The timing was perfect. It just so happened that global investment firm KKR, where Okun heads public affairs for Asia, was looking for a social enterprise to assist. A 1988 graduate of the College of Arts & Sciences who earned his J.D. from the School of Law in 1991, Okun had just created a partnership for KKR with a group called Impact Investment Exchange. The group would find a social enterprise that was beyond the proof-of-concept stage, but wasn’t yet investment-ready. As Okun tells it, “KKR would bring in our investment professionals, people who do investment ‘deals’ , who would work with the social enterprise on their business plan, do a revenue model and help them put together the right capital structure so that they can go out and fundraise.” The cashew company looked like the perfect fit. After five months of work, KKR delivered its plan to a grateful Fishman, who hit the fundraising trail and brought in $900,000 in just a matter of weeks. The following year, 2014, the company raised another $1.5 million in new financing, making it possible to build a second factory, buy more processing equipment and triple the size of its warehouse. Fishman said the support from Okun and KKR was a game-changer. “If we had to pay a consultant to develop a revenue model, construct a business plan and put in place a capital structure off of which we could fundraise, it would have cost at least $100,000, and I am sure it would not have been as good,” he said. It didn’t take long for the U.S government to take notice of the action in east Bali. Robert Blake, the U.S. ambassador to Indonesia, nominated East Bali Cashews for the prestigious Secretary of State Award for Corporate Excellence, and Brandon Possin, a 2005 UVA political and social thought graduate, immediately got behind the bid. The political and economic section chief at the U.S. consulate in Surabaya, Java, was so taken with the work of East Bali Cashews that he issued a press release to tout the nomination. 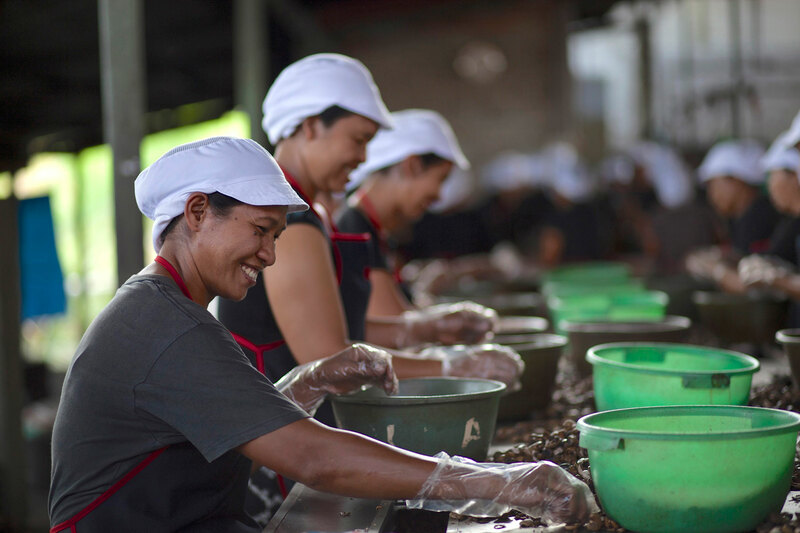 “In our publicity, we emphasized how East Bali Cashews is not just a business, but offers business ethics, corporate social responsibility and training opportunities for its employees,” he said from Surabaya. “The more I hear about it, the more I’m proud of what Americans like Aaron Fishman are doing to create value for Indonesia.” Fishman and the company received the award at a ceremony in March. 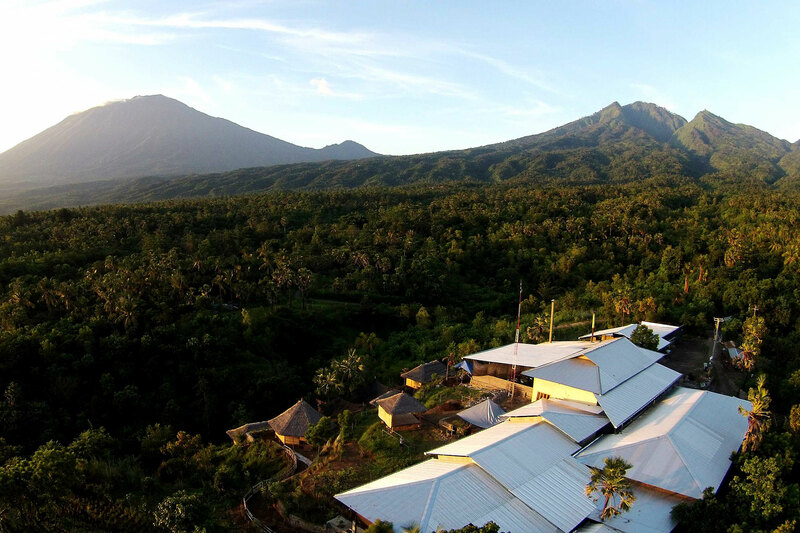 UVA’s work with and support of East Bali Cashews, coming in the form of alumni, faculty and students, is far from over. Third-year student Hanna Beaver will spend 12 weeks this summer doing marketing for the company, thanks to UVA’s Office of Global Internships. UVA’s Student Entrepreneurs for Economic Development is also engaged. Fishman said the group has done research for its Farmer’s Education Center, which teaches sustainable farming methods, as well as supporting marketing efforts in the United States. “We love UVA!” he said. Also this summer, a group of students from the McIntire School’s Global Immersion Experience program will travel to Singapore to meet with Okun at KKR to hear firsthand how the firm engaged with East Bali Cashews – the third time Okun will have met with McIntire students to share the story. Associate Professor of Commerce David Lehman, who led the last two trips, said students are inspired by Okun’s telling of this new investment model.